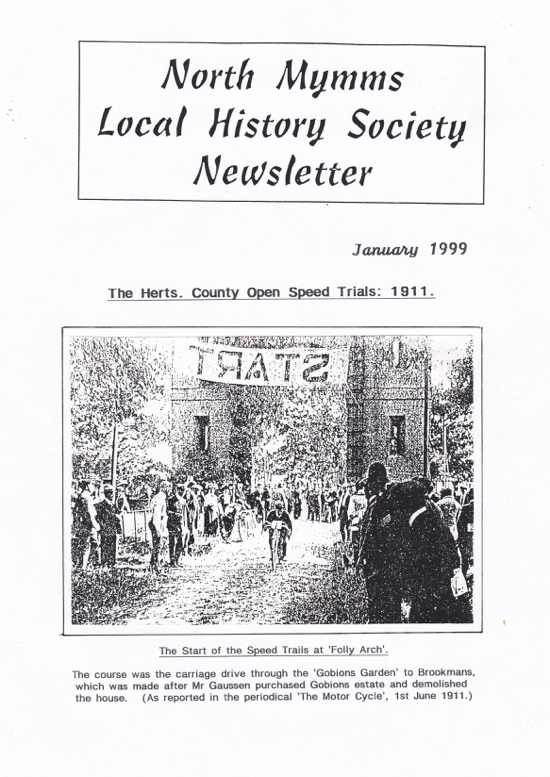 This piece, compiled by the late Marian Benton, archivist of the former North Mymms Local History Society, traces the importance of the parish to motor cycle racing in the county, and, in particular to the Hertfordshire County Open Speed Trials of 1911. In the January 1999 issue of the North Mymms Local History Society (NMLHS) newsletter, archivist the late Marian Benton, presented information from a cutting from MotorCycle magazine dated June 1, 1911. That article is embedded below. The following is the text from the NMLHS newsletter. 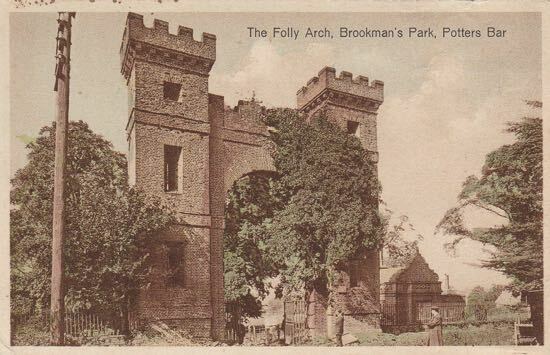 "The motor cycle section of the Herts County A.C. owe a deep debt of gratitude to Mr. H. L. Gaussen, the kind owner of Brookmans Park, who threw open his grounds to the members of club and their friends on Saturday last. The park is one of exceptional beauty, and is magnificently timbered. "The course starts from Bell Bar (southern entrance of the grounds), and the actual point of departure was just inside the gates. The road descended a gradient of about 1 in 16, and then entered a wood. Half-way through just Where the road was level there was a small hump at a bridge, and then the course took a not very severe bend, and rose steadily for the remainder of its length, culminating in a gradient of about 1 in 16-17. "The road was smooth in the sense that there were no bumps or pot-holes, but the actual surface was terribly rough and loose, becoming worse towards the end of the competition. Some of the bad places had been treated with tar, but insufficient attention had been given in this respect. As the club has the use of the road whenever it is needed, a suggestion has been put forward that it should be put into proper order at the club’s expense. "Mr C. C. Cooke deserves the warmest congratulations on his efforts, as the organisation was excellent on the whole. No one except a few officials was allowed on the course previous to the start: competitors entered at Bell Bar, and spectators at the entrance near the 17th milestone on the Great North Road, arriving at the finish. Policemen and boy scouts provided with red and white flags were stationed along the course, and everything that was possible was done to render the meeting a success. "The only point at which criticism may be leveled was the delay in starting both divisions. The weather conditions were absolutely perfect, and the sun shone brilliantly all the time and a light breeze blew across the course. The length of the timed distance, at each end of which Messrs D. K. Hall and F. Straight officiated, was four - fifths of a mile." Comment:- The reporter obviously confused his locations. The ‘southern entrance’ was Folly Arch in Hawkeshead Lane, and the ‘spectators’ entrance was at Bell Bar. Mr C.C.Cooke must have been the husband of Mrs Cooke the headmistress of Water End School from 1902 until 1920. Both were members of a small group of pioneer motorcyclists and I quote from the book - ‘North Mymms Parish and People’, by the late Dorothy ColvilIe:- In a letter dated May 1953 Mr Harold Karslake, then librarian of the Association of Pioneer Motor Cyclists, wrote: "I knew Mr and Mrs Cooke very well from 1908 to 1914 and was on visiting terms at their house at North Mymms. 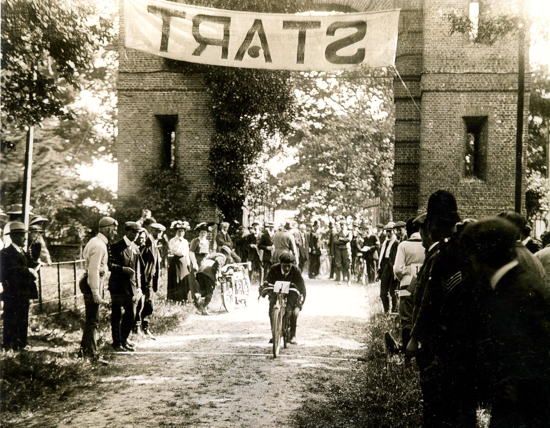 Mrs Cooke was an exceptionally skilled rider and competed in a number of road trials, but not in hill climbs or racing. 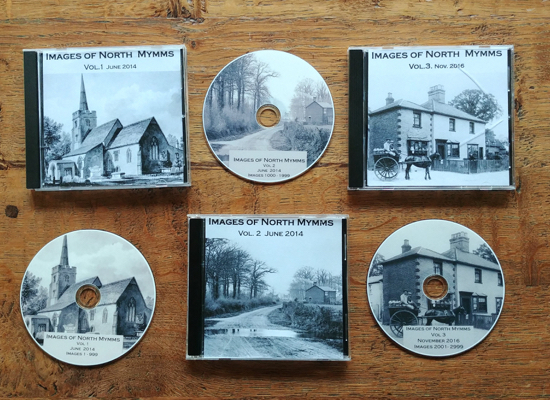 She also contributed a number of articles to the motor-cycle press." Online editor's note: Below is an embedded image of the article to which Marian Benton was referring in her piece. The newspaper article is from Peter Miller's collection.